Being unhappy with your job isn’t just being unhappy with one aspect of your life. Work is where we spend much of our time, if not most, so it’s really important to be at least content with your workplace. 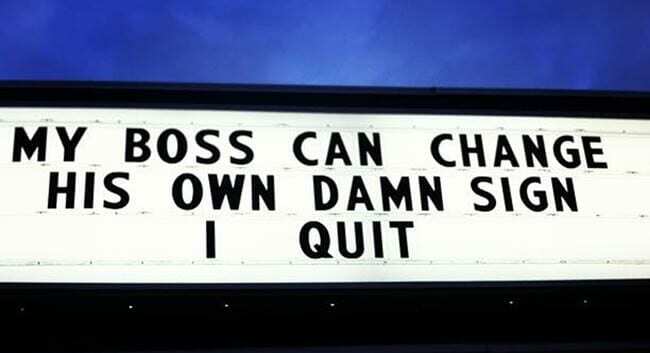 Quitting your job isn’t easy either, despite what people may think. Many people grow accustomed to their workplace, and fear to leave a place where they’re comfortable to seek out new adventures. However, when you do decide to quit, you need to find the right way of doing it. Most people don’t want to burn any bridges when they leave a workplace, probably because they’d need references in the future. You don’t want to offend your boss or your co-workers on your way out, right? Well, some people don’t really agree with that. These people decided nothing is worth keeping a job in which they’re miserable, and if they were getting out – they were going out with a bang. Some of them let everyone know exactly what they think, some of them protested against the working conditions, and some just wanted to get really creative. But the ways these people quit their jobs are outrageous as they are hilarious. When you don’t treat your employees like you should, they eventually might just walk out on you. Some places stretch the limits with their employees, asking them to work impossible shifts or not paying them as they should. This might just result in an act like this. This place’s employees decided to walk out and leave the place closed, in protest for their “borderline sweatshop” working conditions. And we can’t say they don’t have a valid point. Giving your employees various responsibilities is something one should always be careful with. You don’t want to give them too much power, and at the same time treat them badly. 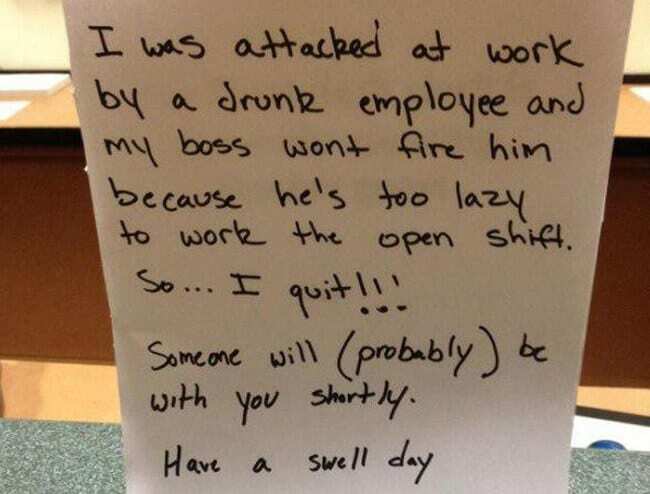 This employee has had enough of his boss’ poor treatment. So when they were asked to change the gas station sign, they decided to use it as platform for their resignation, rather than handing in a two weeks’ notice. Now their boss will have to change the sign on their own. Not everyone who quits does it in a bad way. But just because you’re resigning in a nice way, it doesn’t mean you can’t still make your exit amazing. 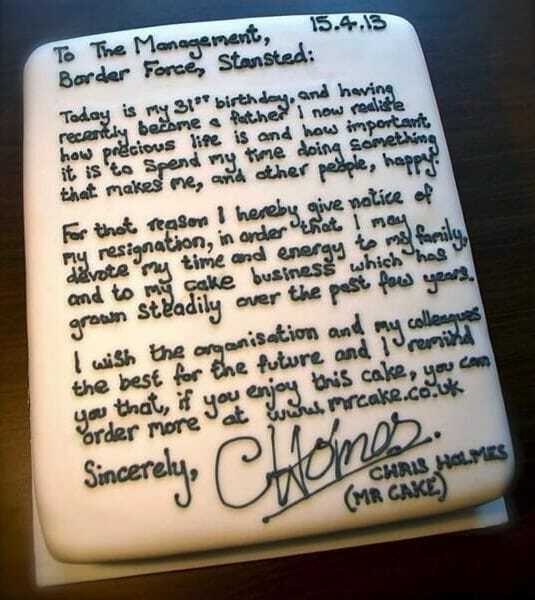 This guy, Chris Holmes, decided to quit his job to focus on his family and his growing cake business, so he baked a huge cake for everyone and decorated it with his reasons for quitting. And we have no doubt his fellow co-workers thought it was a sweet way to go. When you’re a designer and you know how to program, you can do some really creative things. 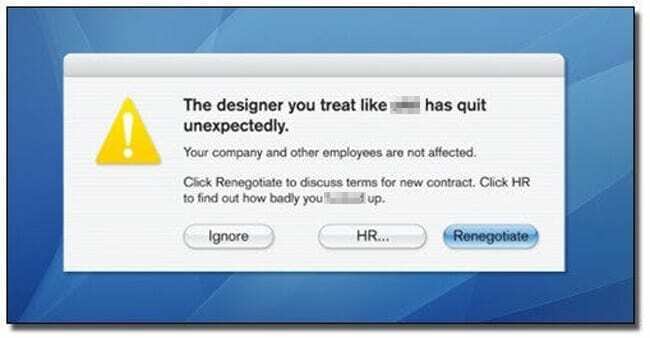 This designer decided he was quitting unless his contract were to be renegotiated, and let his bosses know by putting an alarming error message on their screens. Just imagine the looks on their faces when they realized what their employee had done. We’d think twice before hitting “ignore”, because there’s no way of knowing what would happen then. If one of your employees is attacked by another, you better take it seriously. Creating a safe working environment is the most important thing, but this boss didn’t realize that. When his employee was attacked by another, he turned a blind eye just so he didn’t have to work the open shift! But everyone knows how karma works, and he got his open shift after all – once his attacked employee decided to walk away from the job. This is one of the most creative ways to quit ever. When this worker wanted to hand in their two weeks’ notice to his boss, he decided to go in a somewhat dramatic direction. So they bought a greeting card that’s meant for consoling people on the loss of a loved one, and gave it to their employer as their resignation letter. When you think of what the card actually says and apply it to a quitting employee, it creates a dramatic effect that’s actually pretty funny. Imagine ordering a birthday cake for someone you love on their special day, and then on the day of arrival opening the box and finding this. 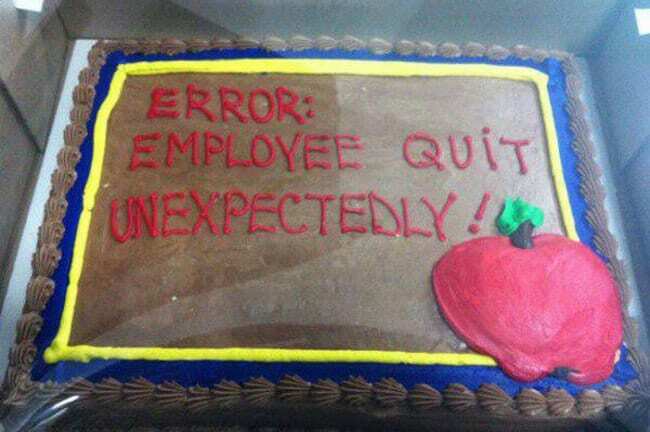 Instead of writing the message the customers requested on the cake, this employee went rogue and took revenge on the place he was working for. So instead of getting their “Happy Birthday” message, they ended up with this disgruntled employee’s resignation instead. We’re pretty sure they got another cake for free after getting this one. 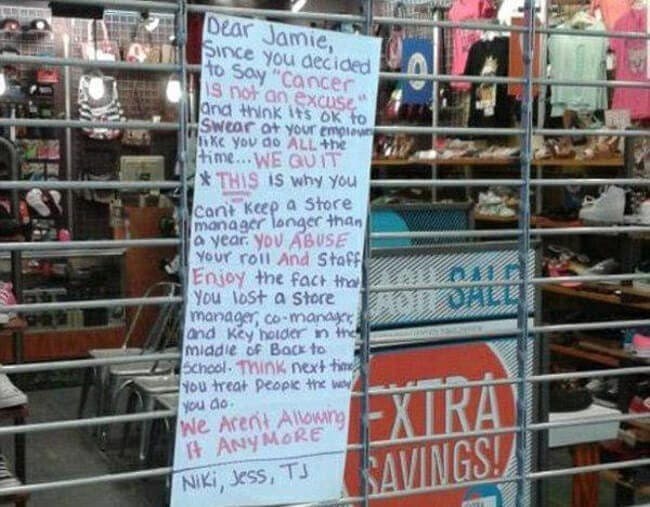 These employees had enough of their owner’s treatment and decided to act. Leaving your store understaffed and expecting a few employees to do all the work instead of hiring more people is a major no-no. 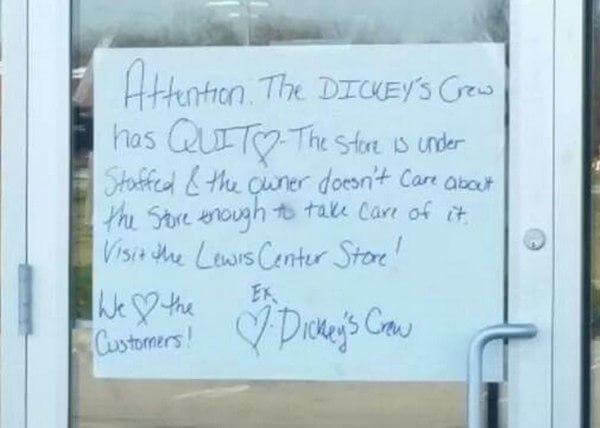 So one shouldn’t be surprised when the entirety of their staff suddenly decides to walk out and leave the store unattended – advising the customers to visit the place across the street instead. It’s still pretty nice though, because we’ve never seen a resignation letter with quite so many hearts drawn on it. When you’re a computer programmer, you have the ability to quit in ways that are not available to most people. For example, this programmer created his own version of the Super Mario Brothers video game, but with one twist. 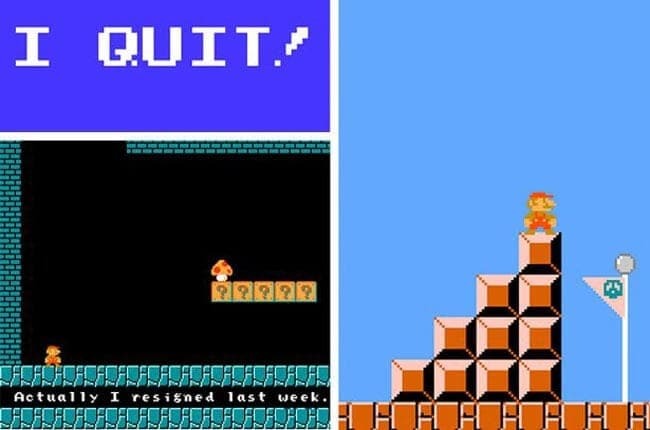 Each time Mario comes across a mushroom, a huge message saying “I quit” appears on the screen. 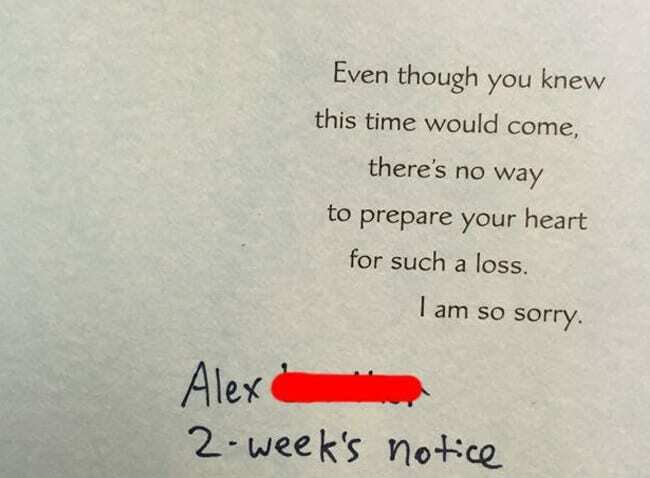 He sent it to everyone at the office, to let everyone know he had quit a week earlier and is now leaving. And we love it! Another really big reason why you should always treat your employees well, is that they know things. When you’ve been working somewhere for a while, you start to notice things – especially when it’s illegal activities going on inside the company. 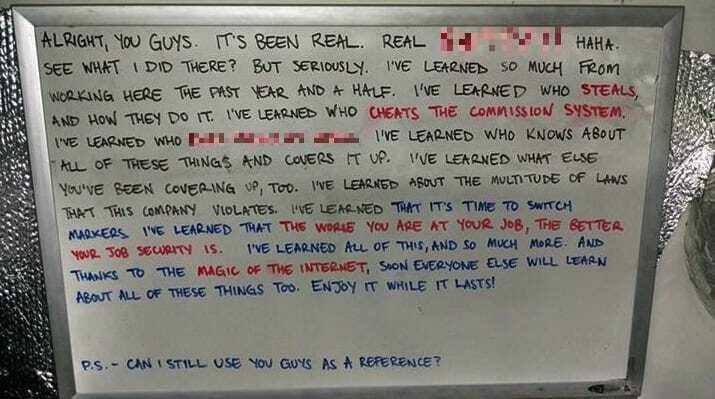 This employee wasn’t shy about this fact when he announced he was quitting. In fact, he let them know exactly what information he has on them, and that it wouldn’t be secret for much longer. Better lawyer up, then? 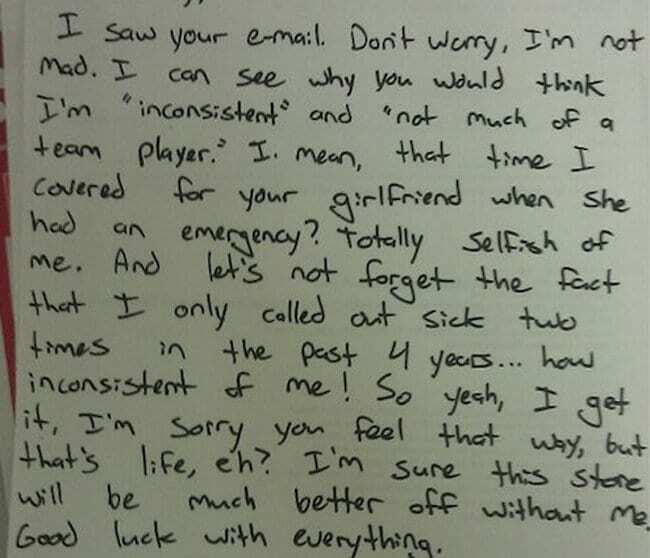 Sometimes, people are not entirely sure how to write their resignation letters. It’s hard to come up with things to say, especially if you don’t want to spell out all the reasons why you’re leaving. This guy kept it simple and figured leaving a job is just like leaving a partner. So he broke up with McDonald’s with this moving letter, and we have to say – it is pretty respectful. If he does breakups that well, his next ex-girlfriend is pretty lucky. Don’t ever cross a bartender. Bartenders are known for being able to pull off the most amazing tricks – it’s half their charm! 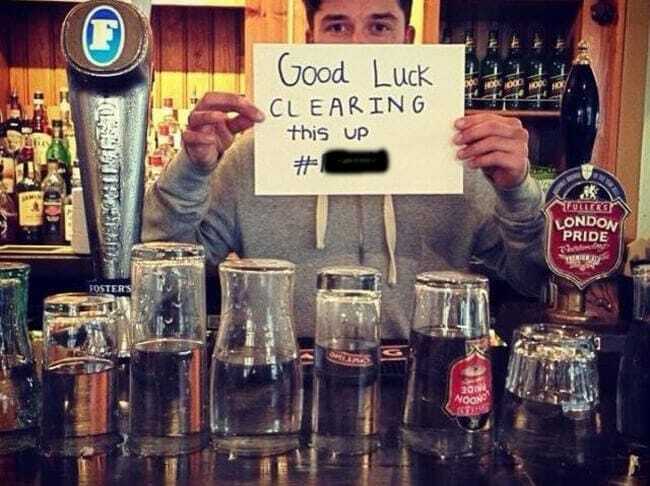 So when this bartender was treated poorly at his workplace, he decided to exact his revenge, bartender style. He managed to flip a bunch of glasses filled with liquid, so anyone who tries to clear them up would face terrible consequences. They better find a new bartender fast, because that’s probably the only person who can handle such a mess. Whoever these guys are, they deserve a standing ovation. Their boss was acting really out of line according to what they wrote on their very public resignation note, so they decided to walk out in the middle of the busiest time of the year. And according to what they wrote, their boss totally had it coming. It’s not a nice thing to abuse your employees or ignore a serious illness, so it’s only right that they would have to face the consequences. 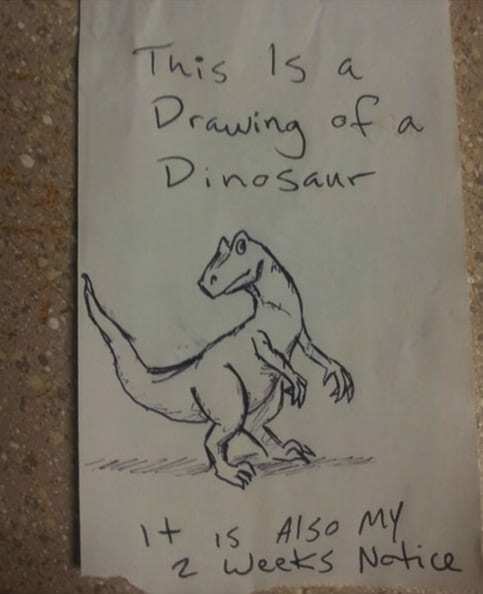 We’re not sure who would give out a two weeks’ notice on a note, after having drawn a dinosaur on it, but it’s pretty darn cute. It’s the kind of resignation letter that a 12-year-old would give when they no longer want to work their paper route. But still, the drawing is pretty good, which shows creative skill. It seems that they were trying to be humoristic about quitting – we just hope their bosses found it amusing rather than disrespectful. 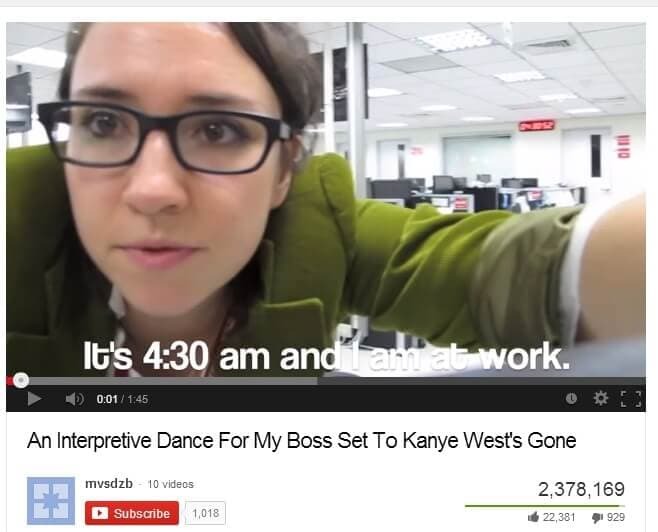 In 2013, a girl named Marina Shifrin uploaded a video of herself dancing in her empty office, all alone at four o’clock in the morning. She told her boss she quits through the video, but didn’t really expect it to go viral, with over 19 million views. And while the video was hilarious and got plenty of attention, she ended up regretting it. She wrote on her LinkedIn profile that she wouldn’t advise people to quit in an epic way, but to leave their job respectfully and give proper notice. There are times when you love your workplace and don’t want to leave, but you get such a good offer from another company that you simply have to quit. This guy actually got himself a position at the Hogwarts School of Witchcraft and Wizardry (you know, the one from the magical “documentary” Harry Potter), and felt like he had to take on the job, as there was much to do after Voldemort’s death. 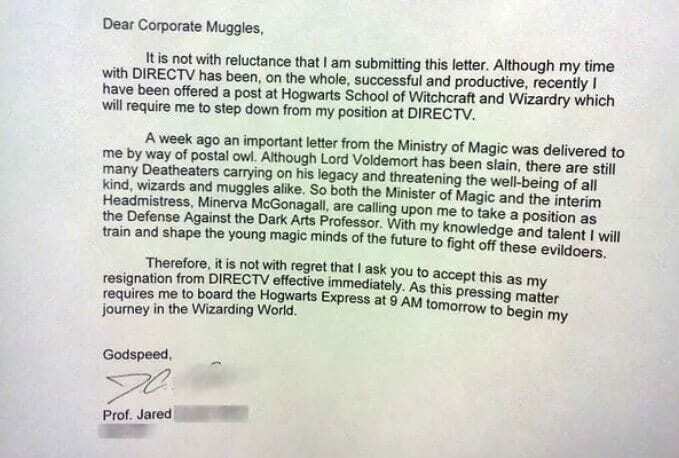 And we’re pretty sure his bosses at DIRECTV found this resignation letter hilarious like we did. It’s fine to give your employees some constructive criticism from time to time. After all, they need to get better at certain things. However, we wouldn’t recommend calling them “inconsistent” and “not much of a team player”. Especially when they’re the type of employee who calls in sick only twice in four years of employment, and covers for you in times of need. We don’t know what drove this person’s boss to give out such harsh criticism, but we don’t think it really paid off. Some people don’t only want to go out with a bang, but leave something nice to their fellow employees after they’re gone. Karen X Cheng was an Excel program manager at Microsoft, but she is also a singer. 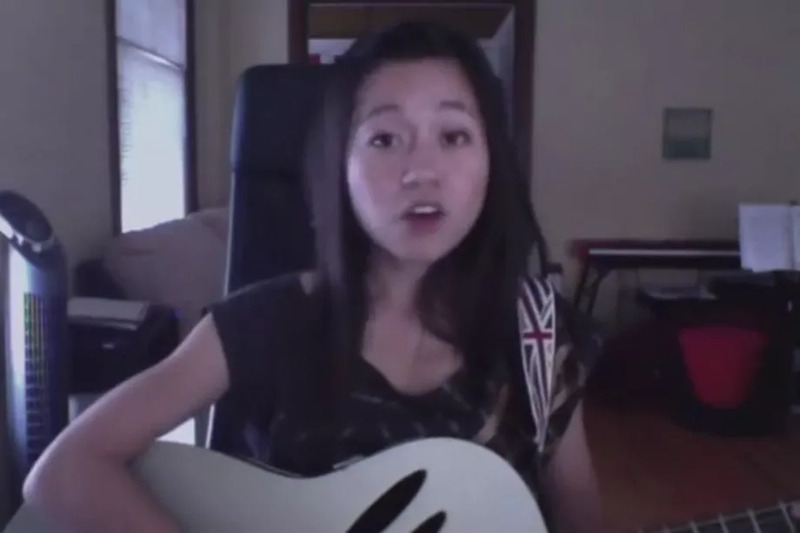 So when she decided to quit, she recorded her own version of American Pie, saying goodbye to the workplace. It got so much attention, she proceeded to producing videos and working for companies like Beats by Dr. Dre! So we guess you could say the effort paid off. Sometimes, when employees quit their jobs, they take a little more than just the last paycheck. 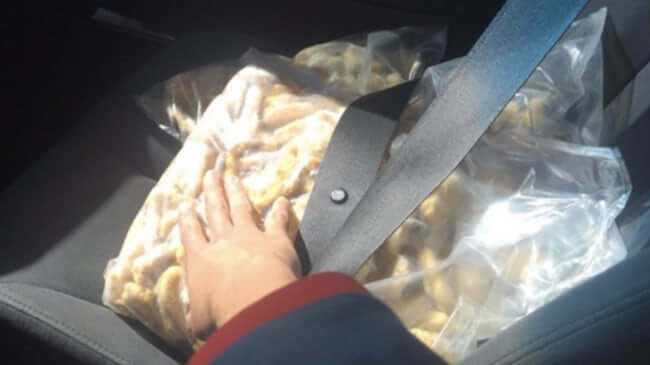 The guy who tweeted this picture said it was his last day working for Burger King, so he decided to take all of their nuggets. While not the most mature thing to do, it earned him quite a bit of attention on Twitter as he was dubbed “The real King of Burger King.” He since deleted this picture, but we hope he didn’t get into too much trouble for taking these nuggets! 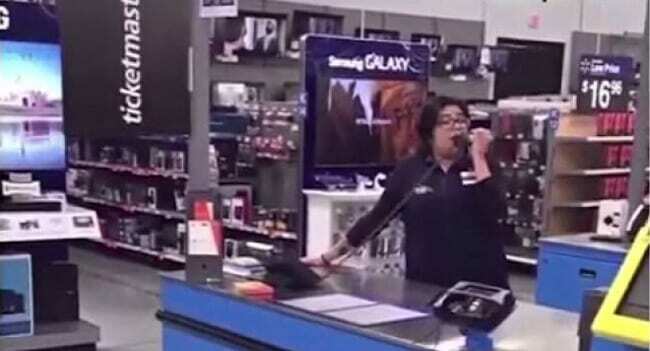 Alexis from the electronics department at Walmart was having some serious issues with her workplace. Maybe that’s why she decided to walk up to the loudspeaker and make an announcement. Not only did she quit her job, but she also delivered quite the speech, dropping a few profanities along the way. The whole thing was filmed, and we don’t know if she got into any trouble, but it’s needless to say – Alexis is no longer an employee at Walmart. A person’s first job is something they’ll remember for the rest of their lives, but sometimes starter jobs can be pretty awful. One 19-year-old got her first job as a waitress, but it wasn’t going so well. They didn’t train her properly, and when it came time to receive her paycheck – she was surprised to learn her boss had “other bills” and had cut back on her salary. When he did it again, she decided to take action. So she just took the money she was owed from the cashier and left. 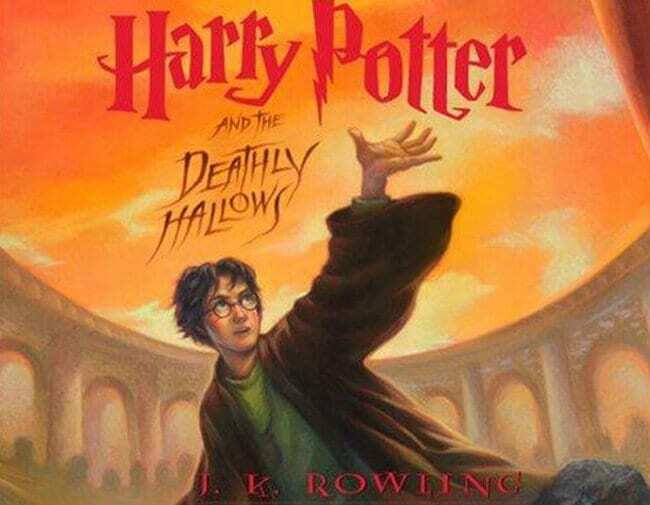 Many people remember that back in 2007, right before the last installment of the Harry Potter book series came out, something unthinkable happened. Bookstores everywhere were given copies for the midnight release, but no one was supposed to open these boxes until it was time. But some Borders employees went rogue and instead of resigning the normal way – they made a video of themselves reading out spoilers from the book to post online. We get being unhappy in your workplace, but why ruin it for everyone? Not cool! This is precisely the reason why you should always pay your employees and treat them nicely. You never know what they might do when you don’t treat them as they deserve. They might just drive a giant truck onto your car and crush it, if they’re feeling particularly vengeful. If you cross them, there’s no telling what they might do, because a disgruntled employee is the worst kind of employee. Just ask the owner of this Mercedes.